Bombay Brasserie is an ideal dine-out place. If you're a biryani-lover, just like me, then you are going to love their bohri muslim specialty, Bombay Chicken Biryani. This yummy masaledaar chicken biryani with aloo slow-cooked with homemade garam masala, is not like your regular biryani. This delicious dish is sure going to satisfy your taste buds. 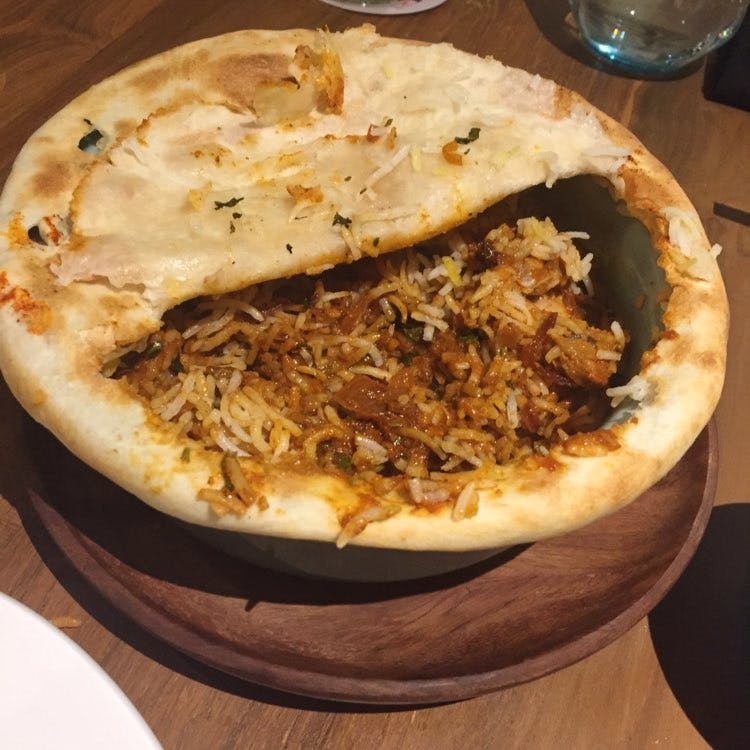 If Bombay Chicken Biryani is going to be your main course, make sure you don't call for too many starters as the biryani portion is quite a lot and is going to fill you too soon.